Hey Whaddayaknow! Slowly but surely liberals are beginning to figure out that the Women’s March is actually run by notorious Jew-haters. The latest to turn against the women’s march is the liberal German think tank FES which canceled an award it was going to give to the Women’s March. The Friedrich Ebert Foundation (FES), a German think tank for the country’s social democratic party, was set to award the Women’s March its Human Rights Award. But not anymore. This is not the first time the Women’s March has been attacked by liberals. Recently two left-wing, Hollywood actresses turned activists turned against the Women’s March. Actresses Debra Messing and Alyssa Milano have both announced that they will no longer work with the Women’s March. 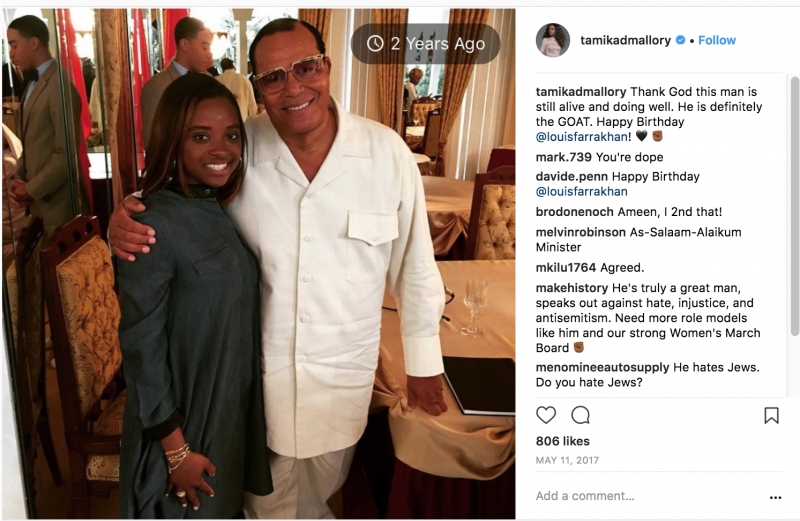 It turns out that not only is notorious terror-apologist and Muslim activist Linda Sarsour a chief leader of the Women’s March,” but the group’s founder, Tamika Mallory, has been found to be an ardent supporter of virulent anti-Semite Louis Farrakhan. At the end of May, Tamika Mallory spoke via video at an event hosted by her trip’s sponsor, the Center for Constitutional Rights. Her anti-Semitic friends Farrakhan and Sarsour must have been proud because Mallory opined that the very creation of Israel was a human rights crime. While she might claim her statement wasn’t anti-Semitic, only anti-Israel, per the U.S. State Department definition Mallory was indeed spewing Jew-hatred. As posted on the Department’s website in 2016. “Manifestations might include the targeting of the state of Israel, conceived as a Jewish collectivity. However, criticism of Israel similar to that leveled against any other country cannot be regarded as anti-Semitic.” Among the examples, the State Department included as anti-Semitic was, “Denying the Jewish people their right to self-determination, e.g., by claiming that the existence of a State of Israel is a racist endeavor. When Starbucks planned its afternoon of anti-bigotry training, it included the progressive politics organization The Anti-Defamation League as a contributor. But Tamika called for a boycott of Starbucks for including the very liberal ADL. She wanted Starbucks to include organizations such as Jewish Voice for Peace (JVP) which was named by the ADL as one of the ten most anti-Israel organizations in the country, and the now infamous Bend The Arc. 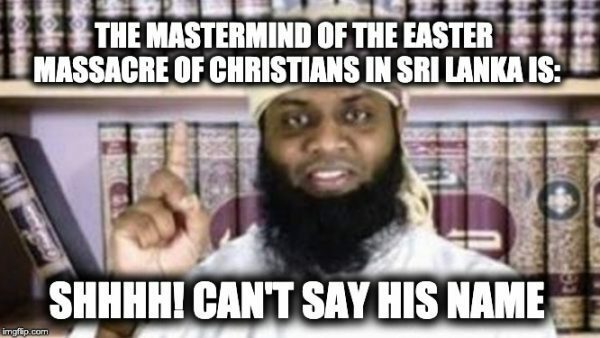 The other groups recommended just as bigoted as JVP. Linda Sarsour, the anti-Semite supported by Democrats such as New York’s Governor Cuomo and like Tamika Mallory, she is supported by Senator Gillibrand. 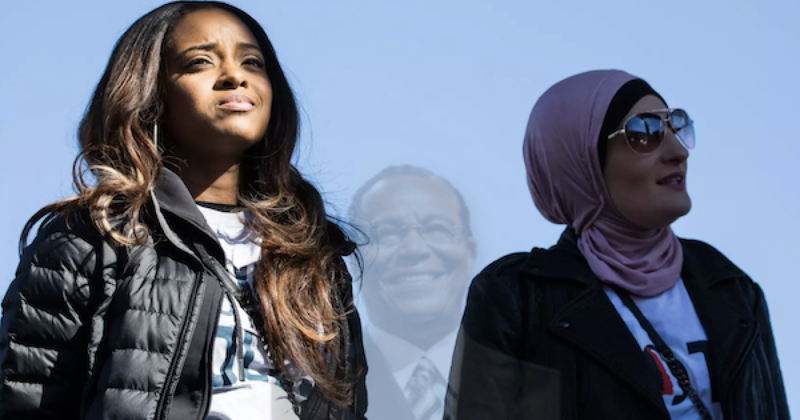 Sarsour spoke and participated at a Nation of Islam event in 2015, she once responded to Farrakhan’s putrid hatred with a glowing post on fellow Woman’s March organizer Carmen Perez’s Facebook page praising Farrakhan’s youthful demeanor. Linda Sarsour Claims Zionists cannot be feminists. “It just doesn’t make any sense for someone to say, ‘Is there room for people who support the state of Israel and do not criticize it in the movement?’ There can’t be in feminism. You either stand up for the rights of all women, including Palestinians, or none. There’s just no way around it,” Sarsour said. But she doesn’t support Jewish women having rights. Another Women’s March organizer Carmen Perez is also a fan of Farrakhan. In this picture below from her Instagram account Perez (on the right) honored the hater as a valued elder. When the ADL asked Ms.Perez about her association with Farrakhan, Perez refused to denounce his anti-Semitism and instead retorted: “There are no perfect leaders.” In other words, “of course he is a hater, but who cares. Women’s March founder Rasmea Yousef Odeh is no longer in America, she was deported in October 2017 for concealing her murder/conviction of two Israeli college students. Rasmea Yousef Odeh is one of eight women who organized the original March 2017 Women’s March. She’s a woman who spent a decade in an Israeli jail for her involvement in two terrorist bombings made while she was a member of the Popular Front for the Liberation of Palestine (PFLP). 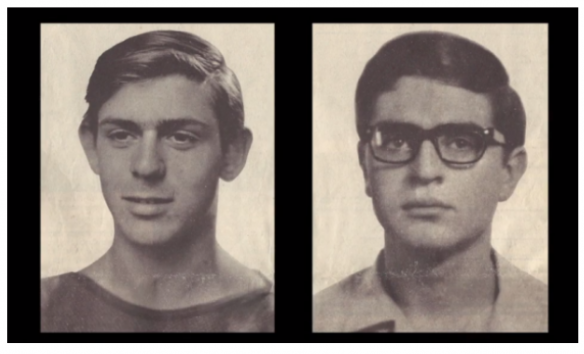 One of those attacks, a 1969 bombing of a Jerusalem Super-Sol Market killed two Hebrew University Students Edward Joffe and Leon Kanner while they were shopping for groceries. The Palestinian born Odeh, was sentenced to life in prison for being the ringleader behind the Super-Sol bombing as well as the British Consulate in Jerusalem (the bomb was found and disarmed before exploding). After spending ten years in an Israel jail Odeh was released with 77 other terrorists in an exchange with the PFLP for an Israeli soldier captured in Lebanon. After her release from prison the terrorist eventually moved to the United States where she served as the associate director of the Arab American Action Network in Chicago and later as an Obamacare navigator (snark withheld). Odeh became a citizen in 2004, but in 2014 she was convicted of lying to the immigration authorities about her Israeli conviction. Odeh checked “no” on immigration and citizenship forms she filled out when asked whether she had ever been convicted of a crime. She was also accused of lying in her immigration papers about her prior residency, falsely claiming that she had lived in Jordan from 1948 until she came to America. The above are just a few examples of the anti-Semitic hatred running through the Women’s March movement. While many believe the Women’s March group was founded to garner more rights for women, the truth is that it was established by terrorists and anti-Semites. And in some cases, there is Antisemitism at the events. This is a rare occasion where these words will be published on this website, “I agree with Alyssa Milano and Alyssa Milano.” And it this one case you should too. Think about their leadership before you participate in their next event unless you agree with their anti-Semitism, you probably should not associate with the Women’s March.